As we celebrate the season of light, we can also take time to celebrate the Reiki that ignites the light within us. As part of my celebration, I’d like to share with you my newly published Reiki book, “Reiki Journeys: Stories of Personal and Spiritual Growth through Reiki.” The first of more Reiki books to come, this book offers stories from those who have found Reiki to be a catalyst for personal and spiritual transformation. “Reiki Journeys: Stories of Personal and Spiritual Growth through Reiki” is a gathering of voices, a sharing of experiences from those who have grown personally and spiritually through Reiki. This book is a window to a community of people from all walks of life who have been touched, and often times, transformed by Reiki. With all of the Reiki books to choose from, this Reiki book demonstrates, through first-person stories, how Reiki can be a catalyst for personal and spiritual growth. As you look through this window, you will see that some of the stories speak to the ability of Reiki to help one find focus, clarity, and life purpose. Other stories unveil a discovery of something greater than “self” with a deeper connection to an all-embracing Higher Power. All of the stories show how Reiki has enhanced many aspects of everyday life. “Reiki Journeys: Stories of Personal and Spiritual Growth” is a testament to Reiki as a gentle modality promoting growth and transformation. Within this Reiki book you’ll also find questions for self-reflection, and a Question and Answer section based on questions from Reiki students and clients collected from over a ten-year period of teaching Reiki, reading Reiki books, and giving Reiki treatment sessions. You’ll find more information about Reiki and its benefits, Reiki for pets, as well as where Reiki is being used today. You may find a part of yourself reflected in some of the stories presented in “Reiki Journeys”. It’s pretty wonderful how we can all find things to relate to in another person’s story. Perhaps it’s because we’re all more alike than we are different, and we’re all connected to each other. Reiki is a holistic modality. Sometimes we might perceive a physical healing through Reiki, and other times we might perceive a personal or spiritual healing. Since our physical bodies are connected to our emotional, mental, and spiritual energy systems, a “healing” in any one energy system also affects all of the other energy systems. In some of the “Reiki Journeys” stories, physical healings occur that provide a springboard for personal and spiritual growth. Sometimes there is personal and spiritual growth without an obviously visible physical healing. An example of this would be when Reiki helps to propel us towards our true life mission or when Reiki helps us to reach milestones in our lives. Some of the stories in my Reiki book “Reiki Journeys” speak to this aspect. Some of the stories in my new Reiki book “Reiki Journeys” reveal how Reiki can be a catalyst for intuitive development. Our intuition is very basic to us as humans. Animals also have a keen intuitive sense and they need it to survive in their environment. Our intuition can be very beneficial for us because it can help to guide us in making daily decisions, and it can help us in assisting our loved ones if we feel that they may need a helping hand at any given time. Reiki has helped many in developing the “inner knowing” we refer to as intuition. Reiki can be a stepping stone on a path of other holistic modalities. Reiki complements other modalities that we may use to help ourselves. Some of the stories in my new Reiki book “Reiki Journeys” demonstrate how Reiki came along after incorporating other modalities such as yoga or meditation. For many, Reiki comes along in just the right time and in just the right way. Each story in “Reiki Journeys” is part of an individual’s sacred path, and Reiki has been an instrumental element in the next step on that path. During the holiday season and New Year, I’m grateful to share with you this celebration of those who speak their truths in “Reiki Journeys: Stories of Personal and Spiritual Growth through Reiki”. If you are guided to choose a gift for a friend from the wonderful cornucopia of Reiki books, I hope you’ll consider “Reiki Journeys”. May these Reiki stories inspire you along your own unique journey, lifting your heart, mind and soul! 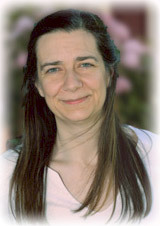 “Yvonne opens a gracious and powerful space for the sharing of life stories with Reiki. The energy of Reiki is palpable, flowing through the pages, inviting connection. In this book you will find examples of the inherent ability of Reiki to help us live more fully, nourishing the whole aspect of each of us. Each story opens a window to the soul of a Reiki client or practitioner, in which you as a reader just may discover a part of yourself.